When King Thor was kidnapped, his son, Alex Kidd, held out hope that his father would return to their kingdom on Planet Aries. Finally, it was revealed that he was being held captive on Planet Paperock. 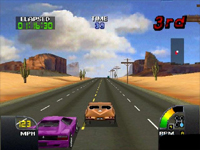 As Alex, players race to his rescue through 11 levels, battling enemies and avoiding obstacles while winning coins that will buy special items and vehicles. 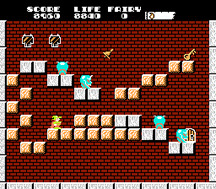 At the end of each level, players encounter a boss and enter into a match of "Rock, Paper, Scissors." Throwing the right symbols puts players ever closer to bringing King Thor home; throwing the wrong symbols squashes them beneath a heavy weight.